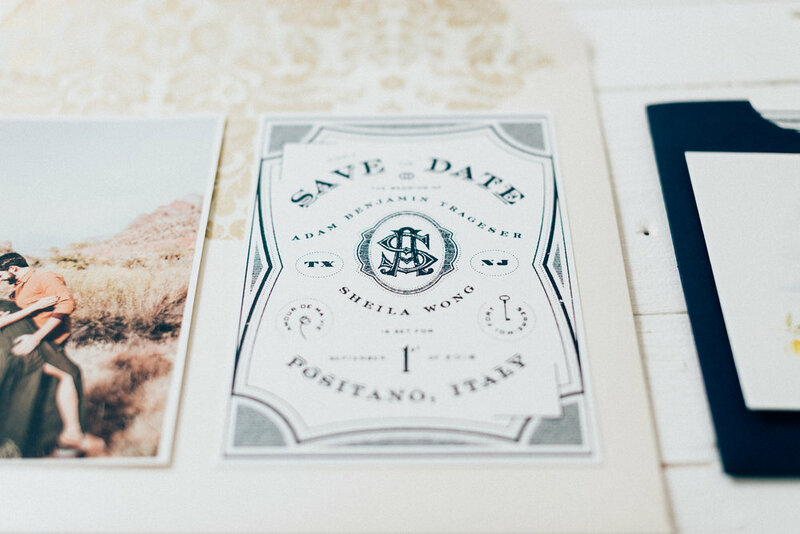 Two Left - Save Our Date — Two Left Co. Spoiler alert: This year is going to be the best year of my life. How do I know? Because I get to marry my best friend in September, on a rooftop, overlooking the coast, in Italy… That's how. This is the save the date and gift package that I designed for my wedding later this year. A wild layout with a framed monogram, swirling type around spot illustrations, and curvy baselines for days. Our package also includes a watercolor rendition of the Italian town Positano (perched upon cliffs of the Amalfi Coast), an engagement photo, and personalized leather luggage tags for our guests. This was a blast to design and assemble - too bad I only get to do it once! Copyright © 2018 Two Left Co. | All Rights Reserved.